What can I say it's a Cohiba. Outstanding cigar, a bit pricey but very enjoyable cigar, burns well, tastes great & always fresh from Best cigar Prices. Cohiba Red Dot Toro Tubes is rated 4.6 out of 5 based on 2 customer ratings. I'm shopping around to find my boyfriend something for Valentines Day. We were talking and he said he wanted a Cohiba Cigar. So would you recommand me getting this for him? Sure! After all, nothing says "I love you" quite like a full-bodied Dominican. 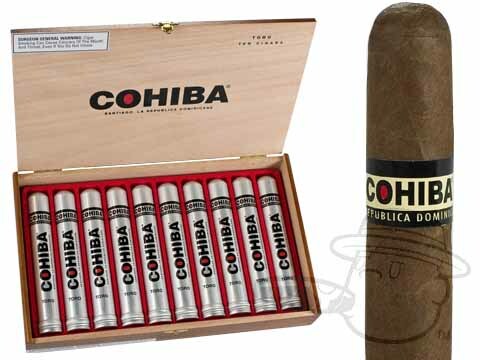 But seriously, the Cohiba Red Dots are a very popular smoke with a very smooth, rich flavor. If your guy is a fan of Cohibas, you can be sure these will warm his heart.